IWI Galil ACE 7.62X39 W/Side Folding Brace (GAP39SB). CALL TO ORDER. 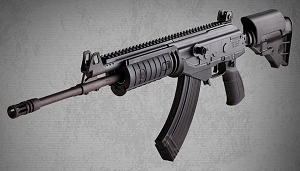 The Galil ACE SB features a side-folding Stabilizing Brace, produced for IWI US by SB Tactical LLC, designers and manufacturers of the original SB15 and SB47 Pistol Stabilizing Braces. Originally designed as a means for persons with limited mobility to operate and fire the AR-15 pistol, the custom adaptation of the Stabilizing Brace to the Galil ACE pistol takes the application of large frame pistol control and stabilization to a new level. With the IWI brace's unique sidefolding feature, the Galil ACE SB can be fired with or without the brace extended depending on the shooters need. With the brace in the folded position, storage space required in your safe or range/rifle bag is minimized. 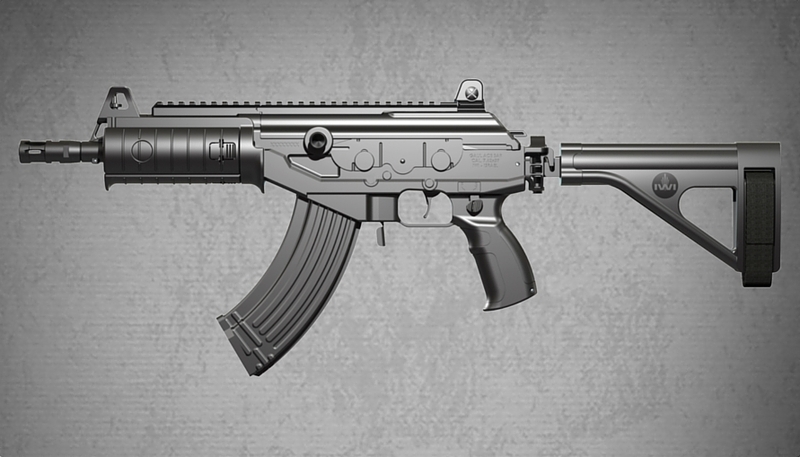 In all other respects, the Galil ACE GAP39SB is identical to the GAP39. The modernized Galil ACE is based upon the reliable mechanism of the original Galil assault rifle first developed by IMI in the late 1960's. Drawing inspiration from the legendary Russian AK-47 and the Finnish Valmet RK 62, the IWI Galil ACE has been continuously improved over the last 40+ years, resulting in today's extremely reliable and highly accurate Galil ACE. Sights	Adjustable with Tritium front post and 2-dot Tritium rear aperture.